The bulk candy dispensers at Whole Foods make a tempting display. The red choices would probably be tastiest! 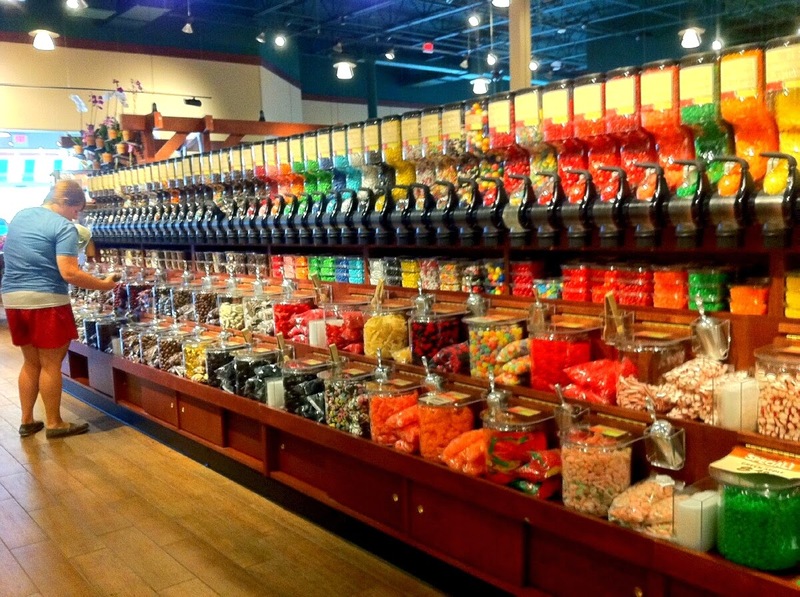 candy shops/aisles are so colorful! i'd pick swedish fish! I'd love to compare ours to yours. What a wonderful display. I have to work very hard to stay away from that aisle. Such a bright and attractive shop display. And so many choices. Wow, is a lot things!